Huss Park Attractions GmbH has announced that the first project of its Explorer film based attraction will open at Cancun’s Riviera Maya in Mexico in 2019 at the new Amikoo Resort Destination Theme Park, currently being developed and scheduled to open next year. 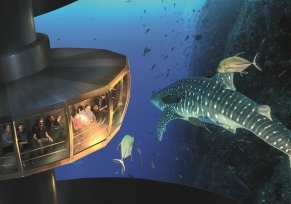 The Amikoo attraction will take visitors on a spectacular deep sea exploration around the seas of Mexico. The passengers are part of an expedition into the deep oceans of Mexico to discover the beautiful sea life. 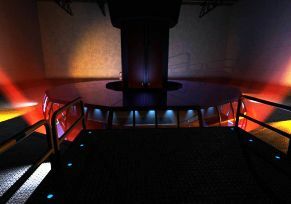 Utilizing cutting-edge technology the Explorer provides the sensation of being immersed under the ocean. 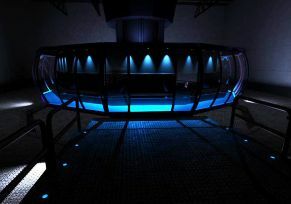 Unrestricted views towards a 360° screen supporting large-format images in combination with suitable sound effects, scents which pervade the ambience and the descending/ascending movement of the rider carrier will all combine to create an unprecedented ride experience. A themed boarding area will initially engage visitors in the adventure. 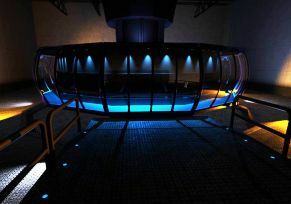 Guests will enter the 70-seat gondola, themed as a submarine, from a docking bay before it sinks into the deep abyss. 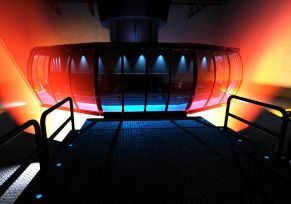 The gondola will move down a central, steel tower shaft into a totally enclosed, 360° projection scene, in this case as if submerging under the water, taking riders into an exciting and fascinating underwater world of coral reefs and marine life. The Amikoo Explorer offers a perfect mix of entertainment and education, featuring messages to raise awareness about the care of the planet and an emphasis on the oceans and bio-diversity. The ride is accessible for guests with disabilities and wheelchair users. 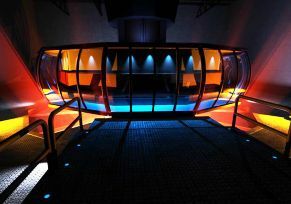 It is suitable for all ages and will provide the venue with a highly flexible attraction that, if required, can be refreshed very easily with a change of media content for a whole new experience. With a wide, almost unlimited choice of experiences available, Explorer immerses riders in the worlds of science, fantasy, sports, technology or adventure. 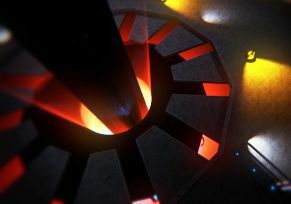 It is a unique attraction based on proven and reliable technologies, the gondola being attached to a steel tower shaft based on the proven HUSS® Sky Tower design, moving up or down the shaft to the film projection level.